Bring back the Far Lands as a Biome. We all remember the Far Lands right? It was pretty much the edge of Minecraft, it looked crazy. But, when Minecraft got new code for the terrain generation, the Far Lands got removed. Today I thought to myself, what if the Far Lands were brought back as a Biome? Considering how magical the world of Minecraft is, it isn't too far fetched, the Biome could be hard to find and might be located near the world barrier. Tell me what you guys think. Yeeeeaah... The Far Lands was pretty much a massive glitch that revealed a ton of ores. I don't think Mojang is gonna put back something that was fundamentally broken and removed for a reason. Than, they could just make it so that the ores won't spawn in the Far Lands. Or like I said, the Far Lands could be hard to find. That way you couldn't just find one next to a forest and get tons of ores very quickly. Unless you got VERY lucky and spawned right next to or in the Far Lands. This might work if the far lands biome only spawns at the edge of worlds, maybe in the last 16 chunks around the world border. It would bring back the old "adventures to the far lands" that people used to do. 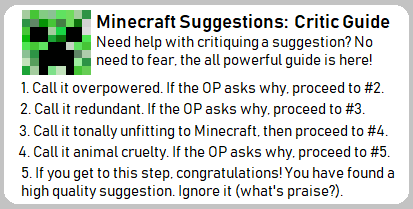 Minecraft is a sandbox game, so the more things to do the better imo. I guess it'd depend on how far out the farlands are. If they are too close I can see it being really annoying to find when you just want to explore; it would almost be like a world border. Thus, I'm going to have to say No Support to this idea until further detail is provided. 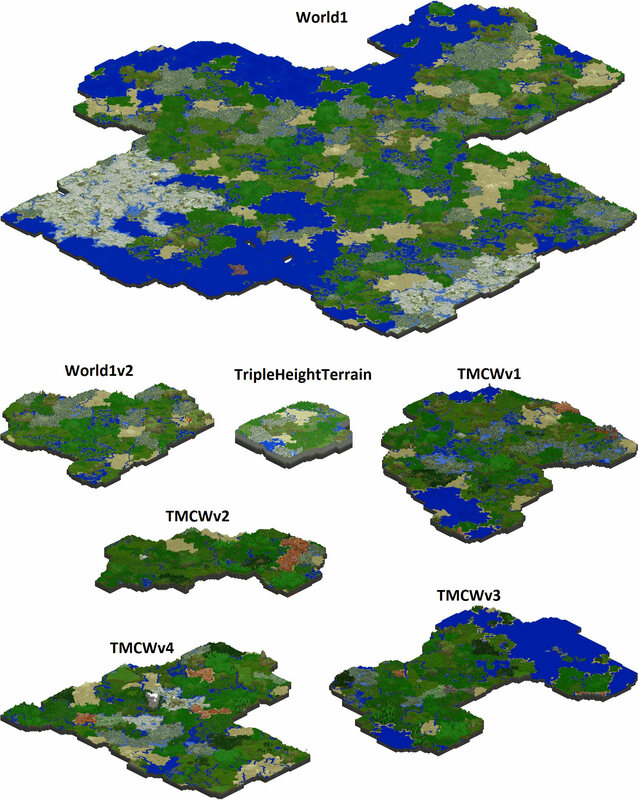 A minecraft world stretches 40,000 blocks from the center of the world is all directions. If each block is a meter, that's larger than Neptune (many days of only playing minecraft just to reach the border). 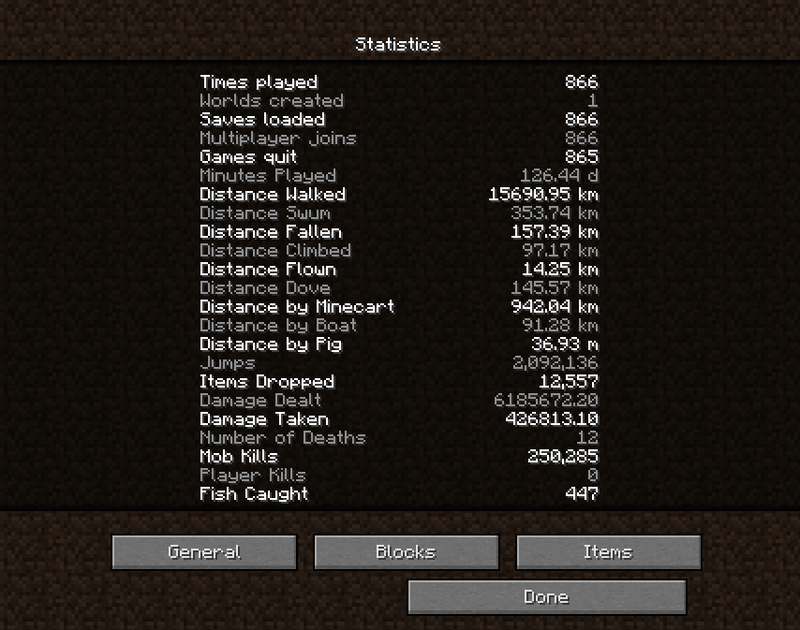 If the OP edits the thread to how I suggested, this means only the last 256 blocks of the world would be far lands. I don't think anyone has ever crossed into the final 256 blocks of their world without going there on purpose. Actually, the Far Lands were removed by accident during the Adventure Update by the changes to worldgen that were done for other purposes. The world border is essentially a giant bounding box; by default, its center lies at coordinates X/Z: 0, with a width and length of almost 30 million (29,999,984) blocks from both ends. Ores can be found up to their respective maximum heights just like in the normal world. Unfortunately, due to the flooding, everything except for coal is difficult, if not impossible, to acquire. In the solid areas of the Far Lands, normal caves will generate but will be limited and small. The Far Lands were an unintentional glitch that caused many, many problems to all those who went there, but that impossible, unscalable terrain and the dark cavities full of mobs seem like a really cool postgame challenge to take on. And they may also serve as a good coal/iron source because of said 'mob cavities'? But, considering how far it is, and the existence of the world border, this might not be possible in game. I'm not sure what the point of that was; just because it may be possible doesn't mean that they should add the Far Lands back, not to mention they said to "watch a movie or read a book" while waiting - which means you aren't even playing the game (I know of some people who have like 11,000 in-game days of time in their worlds, more than my 9,000+, but I've likely spent far more time actually playing since none of that time was spent AFKing, which is just pointless because the entire point of a game is to have fun playing it)! Fun fact: it would take me about 56 million years of playtime to explore every single cave/mineshaft/ravine in an entire Minecraft world, 7.5 years just for a 1 chunk wide strip from 0,0 to the world border. I think this idea would work better as a dimension rather than a biome. They could even add glitched out mobs to complement the wacky terrain. There is absoutely no point in adding ANYTHING near the end of the world. It is simply TOO far away.